The wines of Chateau Musar are unique expressions from a country with an ancient wine-making culture, as vines have been cultivated from Lebanon’s high altitude Bekaa Valley for over 6,000 years. 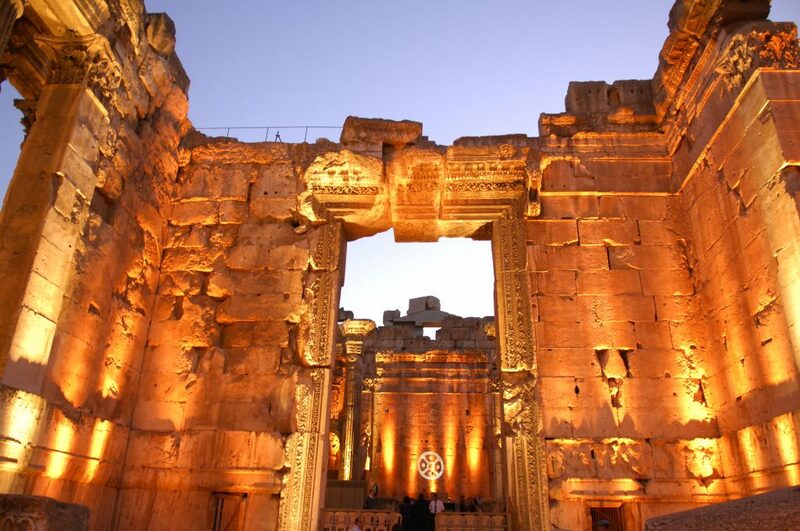 The ancient city of Baalbek in the northern Bekaa Valley, takes its name from the Phoenician fertility god, Baal. The Roman god Bacchus was in turn worshipped here and the temples built in his honour remain among the most perfectly preserved in the world. The region’s wines are mentioned many times in the bible, with the first recorded evidence of wine transactions coming from Byblos (‘book ‘in Greek, hence ‘Bible’) an historic fishing port north of Beirut. French in origin, the Hochar (pronounced Hoshar) family arrived in Lebanon in the 12th century, ‘Preux Chevaliers ‘and have remained there ever since. At the eastern end of the Mediterranean bordered by Syria to the north and east and Israel to the south, Lebanon is similar to the size of Wales. The ‘Lebanon’ and ‘Anti-Lebanon’ mountain ranges run in parallel with the Bekaa Valley between them. The country’s favourable geographical and climatic conditions have always held abundant promise. Forming part of the Fertile Crescent where agriculture originated around 10,000 years ago, this area was among the first to benefit from the formal cultivation of grapes. At 34° N of the equator,the centre of the Bekaa Valley is further south than any part of Spain or Italy and as such gets its fair share of sunshine during the summer months. The Musar vineyards are blessed in two ways: they are situated at relatively high altitudes, (around 1,000 metres above sea level) and have just the kind of calcareous, gravel and stone soils that encourage the production of high quality grapes. Vineyards at this altitude benefit from cool night and seasonal temperatures (it often snows on the vines in the winter and summer can be searingly hot) resulting in longer ripening periods. 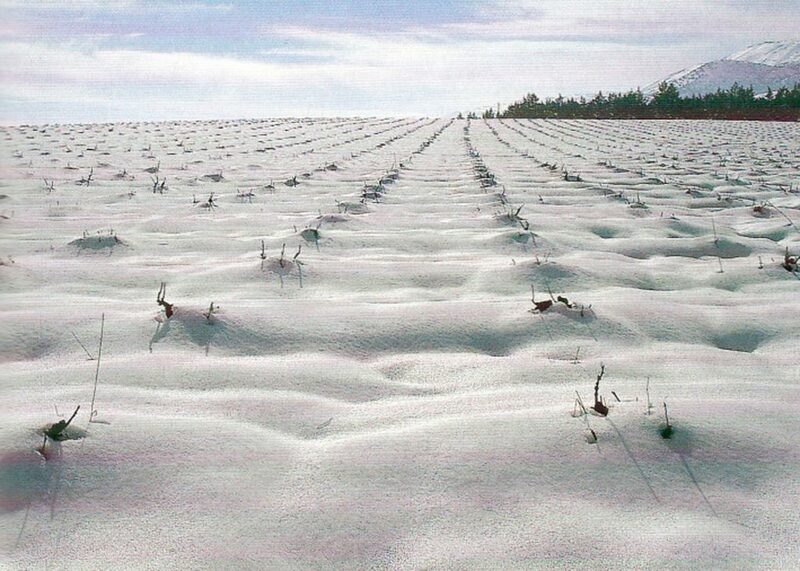 Vines thrive in this pure ‘alpine’ environment requiring little or no intervention to remain healthy. 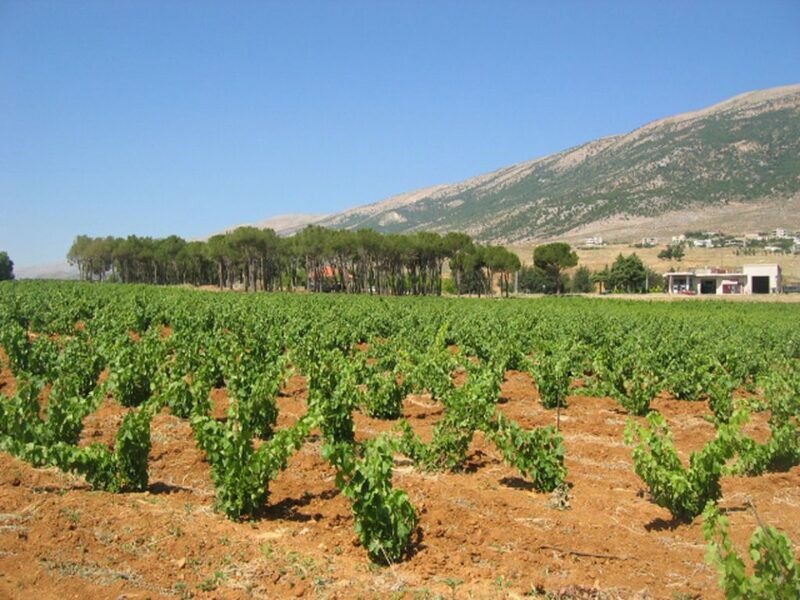 Chateau Musar’s red vineyards are situated towards the southern end of the Bekaa valley, north of Lake Qaroun and about 30 km south-east of Beirut. They lie near the villages Aana and Kefraya on a range of gravelly soils over limestone- ideally suited to viticulture. The wide range of soil types and aspects results in wines of distinctive character and blends of appealing complexity. The grapes used to make Chateau Musar Red are Cabernet Sauvignon and Southern Rhone varieties of Cinsault and Carignan from long established, mature vines yielding a maximum of 30 to 35 hectolitres per hectare. The ancient and indigenous white grapes of Obaideh and Merwah which prefer slightly cooler conditions to the reds are grown in vineyards at even higher altitudes on the mountain slopes, some 1,500 metres above sea level. Every wine of Chateau Musar is produced naturally with a ‘non-interventionist’ wine making philosophy and the winery was the first in Lebanon to implement organically certified viticulture in 2006 for its Chateau Musar Red and white grapes. When you are a winemaker you have the luck to work with something that is alive and you should never kill it. Many people ask why Chateau Musar’s winery is one hour drive from the vineyards in the Bekaa valley. When Gaston Hochar began making wine in 1930, the boundaries of Lebanon had not been set, and he wanted to ensure that his premises would be inside the newly­ demarcated country. Thus he chose to install his winery in the family’s 18th century castle overlooking the Mediterranean at Ghazir, a Maronite Christian enclave about 20 km north of Beirut. Its name in Arabic is ‘M’zar’:’ place of extraordinary beauty/shrine to be visited’ and Gaston adapted this name for his new enterprise. As the company expanded, new cellars were built into the mountainside nearby, providing perfect conditions for long term wine storage. 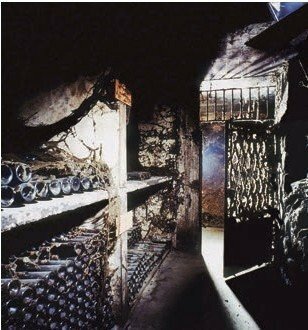 The cellars were so secure that they were used as air raid shelters by the villagers of Ghazir during Lebanon’s Civil War (1975-1990). At harvest time,the grapes are hand-picked by Bedouins in the cool of the morning to preserve freshness, and driven in sizeable trucks over the mountains to the winery at Ghazir. Grapes destined for Chateau Musar Red are fermented in separate cement vats, racked at about 6 months from the harvest and then aged for around 12 months in French Nevers oak barriques- only a small percentage of which are new each year. The resulting wines from cabernet sauvignon,Cinsault and carignan are blended to reflect the strengths and individual characteristics of the year and bottled without filtration at the end of the 3rd year following the harvest. The blending process is an intrinsic part of the wine-making art at Chateau Musar. Component wines of different vineyards are constantly tasted to understand their personality and characteristics – wine-making by instinct. The final blend is aged for a further 3 to 4 years In bottle before being released in its 7th year. Chateau Musar White is also fermented in Nevers oak barrels for 6 to 9 months, bottled and blended after its first year and stored in the Musar cellars for a further six years before release. The White, which has been likened to ‘mature white Graves’ will also cellar for many years.